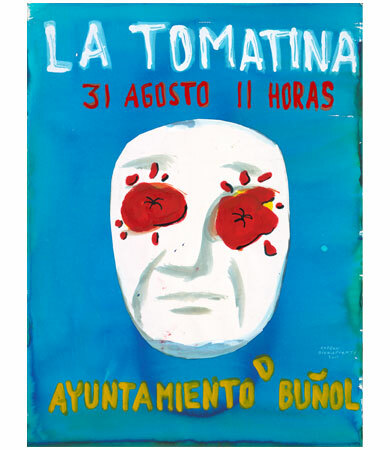 Design of the poster for "La Tomatina 2011" festival in Buyol (Valencia). The town of Bunyol is famous today for its annual festival which started over 60 tomatinas ago. The world's greatest vegetable fight takes place here with over 30 thousand people and 200 tonnes of tomatoes.